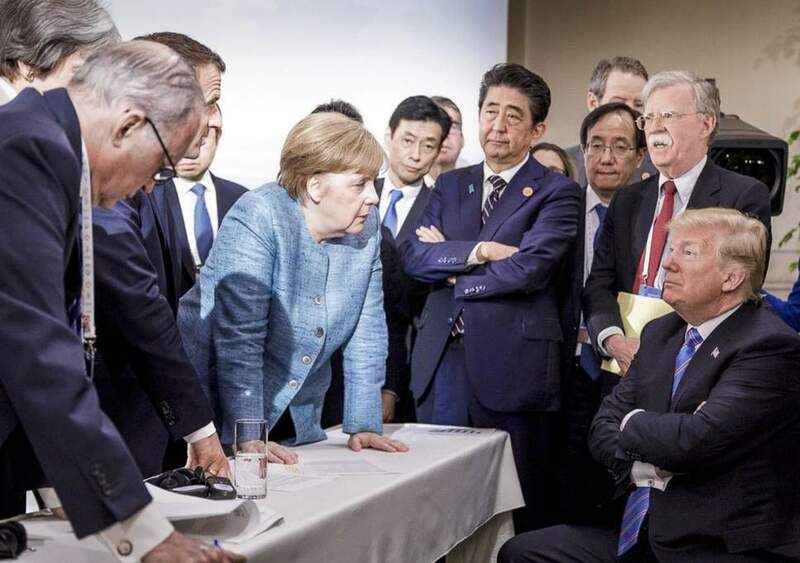 This viral picture, taken by the German cabinet’s official photographer Jesco Denze, is posted at Angela Merkel’s official Instagram account. The captions write themselves. The Seven German Words that capture an essence of this era of Trump Misadministration. Translates literally to “world pain.” The sickening exasperation one feels at the state of the world. The feeling of wanting to be anywhere but where you are at this moment . The chaos of a hopelessly messy, unstructured state of affairs. Literally, “grief bacon.” A politically induced stress over-eating disorder. A persistent state of unfiltered, primal rage. Functionally similar to ‘schadenfreude’; a projection of shame on behalf of any member of the Trump White House? Previous Post: What Is The trump Era Doing to Discourse?